It’s likely that staff turnover is one of the problems you’re trying to overcome in your business. The average staff turnover rate is 15%, and if you keep turning to staffing agencies and job sites, the cost will really add up. A guaranteed way to make staff feel overlooked and unimportant is to make decisions about them without their input. You don’t have to consult them on every single decision, and some decisions are entirely yours to make, but it’s important to have a dialogue with your team. If you’re going to upgrade uniforms, ask them what would be more practical to wear. If you need to change shift patterns, make sure you hear people’s concerns before you do it. Staff want to be heard, and this acknowledgement will help to motivate them every day. 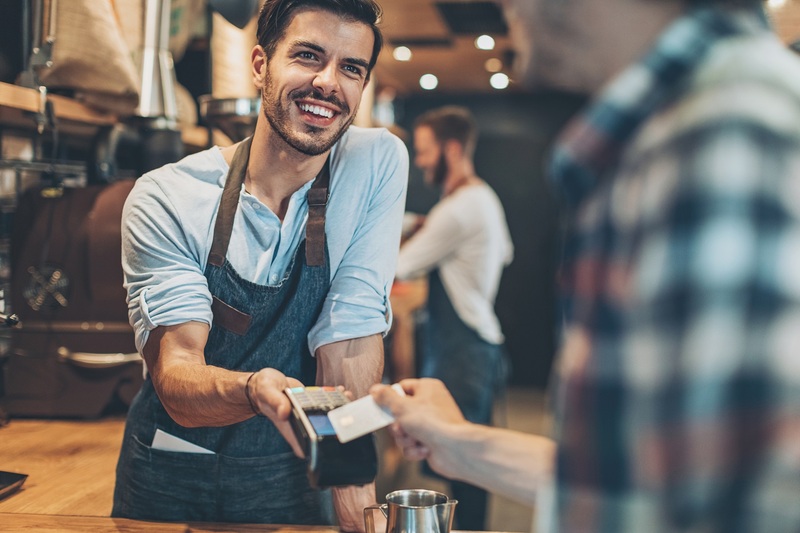 Retail, salon, and restaurant staff are usually not fantastically well paid, but that doesn’t mean they don’t want to develop their career and advance. Offer training schemes to those who would benefit the most and have ambitions to keep developing within your business. This can include management schemes, bookkeeping, and other relevant skills. Not only will it boost morale in your team, your customers will benefit from all this valuable training. The living wage is “£9.15 an hour in London and £7.85 an hour in the rest of the UK” – quite different from the current national minimum wage. As an employer, you want to reduce costs as much as you can, but if you want to maintain a happy, productive team, this isn’t the area to do it. Paying the living wage isn’t compulsory, but it sends a message to your staff that you value them. And when it does come to hiring new team members, your rates of pay will attract the better candidates. Pay is an important motivator, but it’s not the only motivator. 58% of staff want their employer to recognise the work they put in, rather than assuming it’s a given. Thanking people for their hard work goes a really long way. Reward your team with whatever you think will make the most impact, and make sure it’s consistent. After a really tough week, everyone will massively appreciate something as simple as a round of drinks, a late start the next day, or even a bonus. The key to employee happiness is balancing all these elements – one without the others isn’t as effective. Employers that share in their success, keep their team motivated, and make sure everyone’s effort is noticed, will create a more productive and committed team. If you want a boost to your cash flow to pay for staff rewards and incentives, Capify can help. Through the merchant cash advance, businesses can raise between £3,500 and £500,000 to pay for whatever their business needs to grow.